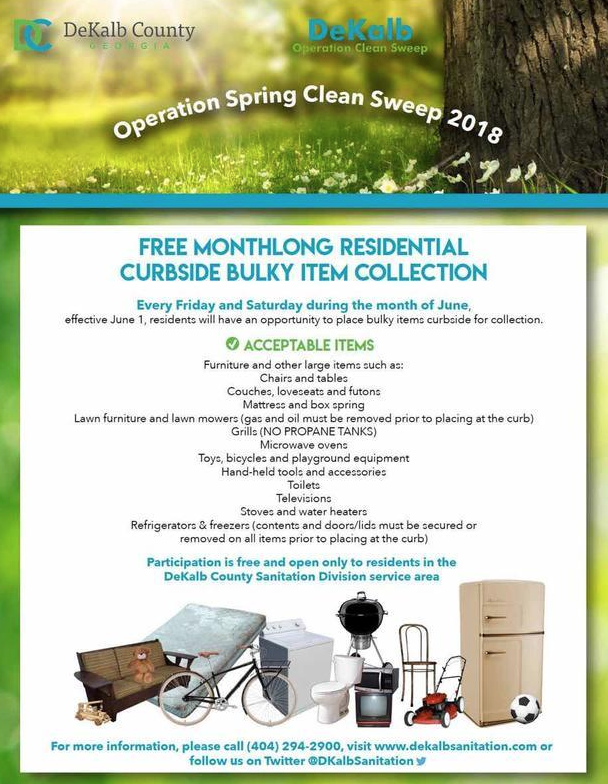 DeKalb County is conducting Operation Spring Clean Sweep 2018. The county is offering free residential curbside bulky item collection (like furniture, grills, water heaters) every Friday and Saturday through the month of June. Consult the flier for more info.